Young Stanley Bagshaw, the lovable duffer from Huddersgate goes on a nature walk with his friend Ted, along by the canal. Suddenly something huge appears in the canal - what can it be? It turns out to be a whale that has lost its bearings. Stanley finds a way to help the whale turn around and go back to the Arctic and has a lot of fun in the process! Another delightfully funny comic strip book from the wonderful Bob Wilson. Bob Wilson manages to write and illustrate with equal brilliance. 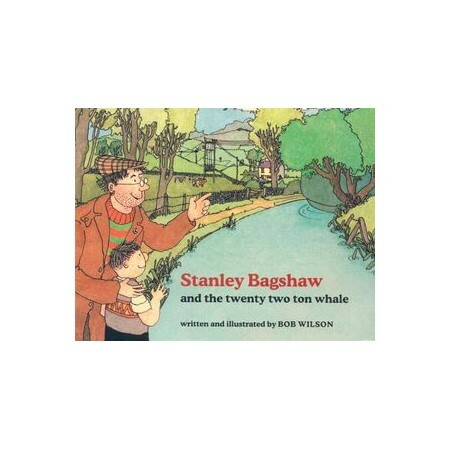 He is the author of the famous Stanley Bagshaw series and other picture books. He lives in Ashbourne, Derbyshire, although he is also to be found in France.